Customized solutions to fit your business’ unique needs. Do you run an e-commerce business? Whether you’re a specialty gift basket provider, a teddy bear maker or a large catalogue retailer operating a portion of your business online, you need e-commerce business solutions that include a shopping cart, a website and a credit card merchant account. Veritrans offers e-commerce business solutions to help your company grow online. We partner with industry leaders in technology development to bring you simple, secure answers to your e-commerce needs. With a trusted internet and e-commerce partner that is DSS-PCI Certified, Veritrans guarantees you full merchant account security and service without the hassle of exorbitant fees and lengthy contracts. We’re always here to guide your e-commerce business as new needs arise and your business grows. It’s customized solutions designed just for you. Our Quick Start Program guarantees same–day application processing. In just 48 hours or less you will be able to start accepting credit cards. Already have an account somewhere else? 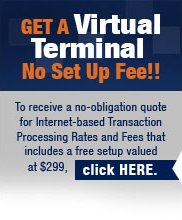 Call Veritrans for a free and confidential analysis of your current contract and fees. We’ll help you understand your contract better and walk you through some cost–effective card processing services solutions.